One Day Training Programme for all teachers under ZIIEI (Zero- Investment Innovations for Education Initiative) at block level by Sri AurobindoSociety, Puducherry. Rc.No. 35, Dated: 30-11-2018. SARVA SHIKSHA ABHIYAIN :: ANDHRA PRADESH, AMARAVATI. Sub: APSSA, Amaravati - One Day Training Programme for all teachers under ZIIEI (Zero- Investment Innovations for Education Initiative) at block level by Sri Aurobindo Society, Puducherry - Regarding. 2. Letter received from the Manager - Operations, Sri Aurobindo Society, puducherry,dt. 5.1 1.2018. 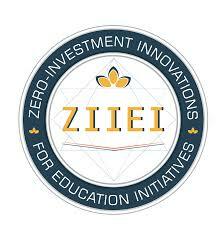 As part of ZIIEI (Zero Investment Innovations for Education Initiative), one dayTraining Programme will be conducted for all teachers at Mandal level by Sri AurobindoSociety, Puduchery from l5-l l-2018 onwards . In view of the above, all the District Project Officers, SSA in the State are herebydirected to identify the Venue Centre at Mandal Level average 80 members for day asscheduled prepared by the Sri Aurobindo Society, Puducherry from 9.00 am to 1.00 pm.Day-wise scheduled is herewith enclosed. Further all the District Project officers, SSA in the State are requested to providebasic facilities like Drinking water, Projector, Mike at Venue centre. Sri Aurobindo Society,Puducherry will be send their own Resource Persons and the Training material to the DistrictProject offices. Further quires to contact Sri Shashank Srivastava, Manager-operations, SriAurobindo Society, Phone No. 96280288s8. The Academic Monitoring officer, Dpooffice shall act as Nodal Officer for the said programme. The expenditure should be met fromthe District Project Management Cost. This has got the approval of the State Project Director, Sarva Shiksha Abhiyan,Andhra Pradesh, Amaravati.